An Oracle Database appliance is a set of standard hardware and software molded together to created a 2 node RAC cluster that is easy to deploy. In parts 1 & 2 i talked about what methods you can use to reformat or erase the Oracle Database Appliance and rebuild it. 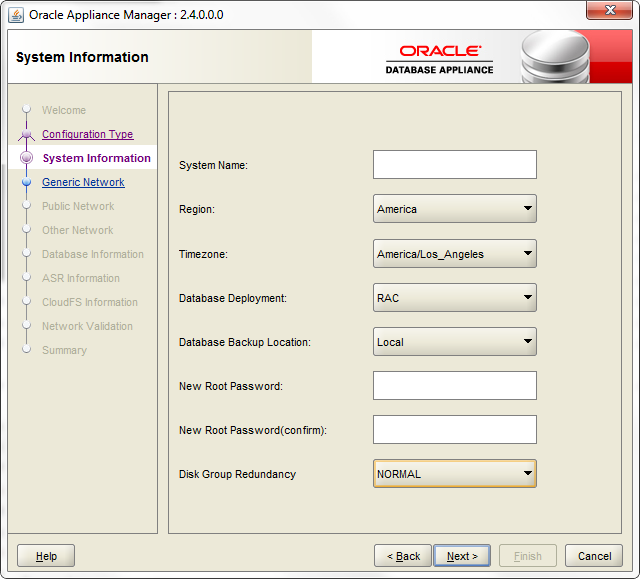 In this post i will talk about 2 methods to complete a deployment on the Oracle Database Appliance (ODA). You can use the GUI tool oakcli deploy that will walk you thru all the steps and let you add all the IP's and then do the deploy. You can use the Oracle Appliance Kit offline configurator to generate the conf file and then either run oakcli deploy to quickly validate all the information and runa graphical deploy. 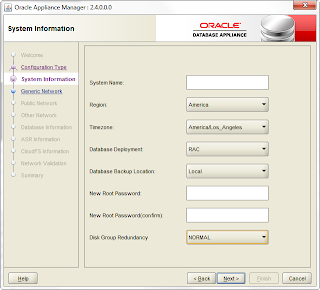 The Oracle Appliance Kit Offline Configurator is available at the Oracle Technology Network ODA Page . The Offline configurator is an exact replica of the oakcli deploy tool except it can be done on your laptop so you dont have to type all the info on the server. The Offline Configurator allows to save a text file in the below format. This text file contains a complete snapshot of the ODA being Built. Below is how the ODA configurator looks like. Once the file is loaded you can go thru a standard GUI deployment. Successfully copied the config file!!! This will execute the ODA deploy in non GUI mode with all logging happening as normal.